Layla Vilacoba is so excited to be the student spotlight this month! This is Layla’s third year at The Monmouth Academy of Ballet. She is 7 years old and a second-grader at Betty McElmon Elementary School in West Long Branch. 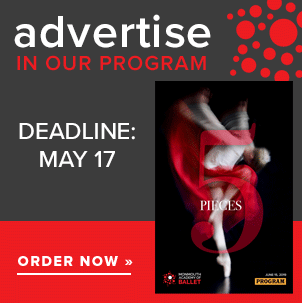 Layla’s love of ballet was sparked at 3 years old when her grandmother, Sheila, a devoted fan of classical ballet and Layla’s primary babysitter, brought over her rather large collection of ballet DVDs to watch with her granddaughter. Each morning while her mom was at work, Layla and her grandmother watched recordings of Swan Lake, Sleeping Beauty, Giselle, Coppélia and La Bayadère. Layla was mesmerized and would watch and dance. Before long, she refused to go anywhere without a tutu. Over the past three years , Miss Ellen has nurtured Layla’s love of ballet. Layla hopes to be a ballerina when she grows up. 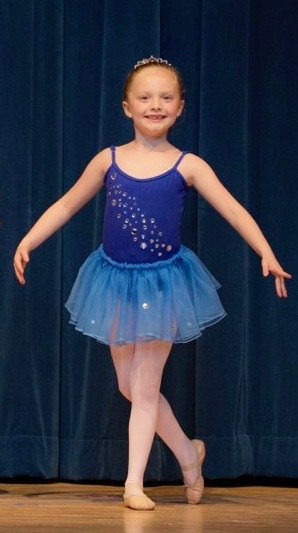 She has successfully completed the pre-primary and primary RAD exams and danced the part of the Summer Fairy in MAB’s production of Cinderella last spring. Aside from ballet, Layla loves to draw and play with her twin brother David.